You’ve done something wrong (just try to imagine this scenario) or something that happened lead to someone else’s feelings being hurt, or the topic was insensitive, or whatever, it actually doesn’t matter, one party is hurt and the other needs to apologize. This could be intentional or unintentional, I’m not sure it matters. There are so many things wrong with this sentence I don’t know where to begin. There was once a saying going around that said something like the “but” negates everything that came before it, I don’t think it negates it, in my experience, it lessons it. The need to rationalize, the need to explain ourselves, the need to somehow be a little “less wrong” than we are needs to stop. As if they somehow understood your position their feelings would magically go away. There may be a time for explanation, but in the moment of the apology, stop the urge to explain yourself and just apologize, please, it will go a long way, I promise. 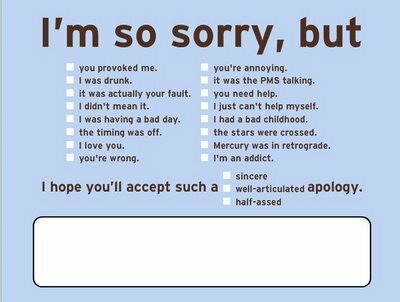 People need a genuine apology and to hear that their feelings matter. When we jump to rationalizing we are telling the person that their feelings or experience is not that important. At times, it can even be shaming. “I didn’t mean it that way” can translate to a hurt party to say, “you’re crazy and you are the one over reacting” or “that was all in your head” or “I am more important than you.” Listen to the person, listen to the pain and have compassion, instead of jumping to your own defense. We don’t like to be wrong, even when we know are. It’s a tough world out there, I get it, stress levels are high and sometimes we snap, or speak without thinking, or make mistakes by simply not knowing. When someone tells you you’ve done something that hurt them, you feel guilt or shame, and that feels bad. We want that feeling to go away, so we rationalize even to ourselves and perpetuate the hurt. The funny thing is, if the person feels heard and receives a true apology then they it will be a lot easier to extend grace and forgiveness. Allow forgiveness a chance to occur… “I was wrong, I’m sorry” and stop, when you rationalize, especially when you feel hurt in the process the cycle of pain continues, instead of stopping and giving an opportunity to heal. 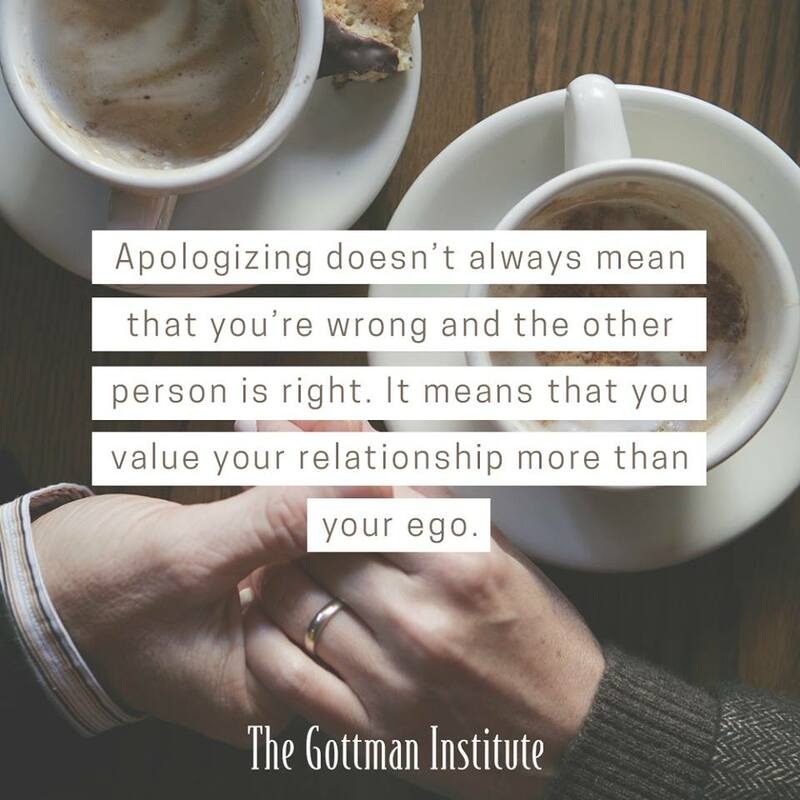 Sometimes we’re not necessarily “wrong,” but still need to apologize. This is a common occurrence when the “thing that happened” is taken out of context. Or possibly they thought it was “for your own good.” Perhaps it really was a misunderstanding, but you probably could/should have handled it differently. Even if it was “the right thing to do” fall back on the golden rule here, treat others as you would want to be treated. Apologize for not extending them a decent courtesy of treating them like a valued person in their lives, and if it’s personal, don’t act and ask for forgiveness later, be upfront and honest. The “I’m sorry” is just the beginning, not the end of an issue, remember, healing takes time. This entry was posted in Ministry and tagged apology, forgiveness, golden rule, grace, healing, rationalize, sorry. Bookmark the permalink.